Packie Donnelly plans to sell his three farms and retire by the time he is 60. And yet, it is going to take something special to push him to make the break and retire from a job that has been more than a means to an end for his entire working life. "People keep me going and say there is no way I will ever walk away, and they might be right," he said. "I've spent so much time and worked so hard to get the farms built up and I'm very particular about the way things are done. Everything has to be spotlessly clean and 100%, so it would be hard for me to leave it to someone else. "I think I will have to move to Spain or somewhere if I sell up." Packie (54) has three holdings all within a few miles of one another in and around Rathkenny and Martinstown, outside Ballymena, Co Antrim. Brought up on a farm, it seemed only natural that he should follow in his father's footsteps. "I am the oldest boy, there were eight children in total - four boys and four girls," he explained. "I was reared on the farm and always farmed. As far back as I can remember I worked on the farm. "I would have been milking the cows, wheeling dung, doing anything and everything that needed done. "My dad had milking cows and sheep. We grew spuds as well and we had pigs and I helped with all of it. "Then, when I was 17, I went to Australia. "My mum's brother had a farm out there and I went to stay with him. I was only meant to be over there for about six months but I ended up staying three years and spent time in Melbourne and Tasmania." However, unlike many people who spend time travelling in Australia, Packie made the decision to return to Northern Ireland. "I was always going to come back because I wanted to farm," he explained. "I came home and did what I wanted to do and when I was in my mid-20s my dad died and I continued on working on the family farm." 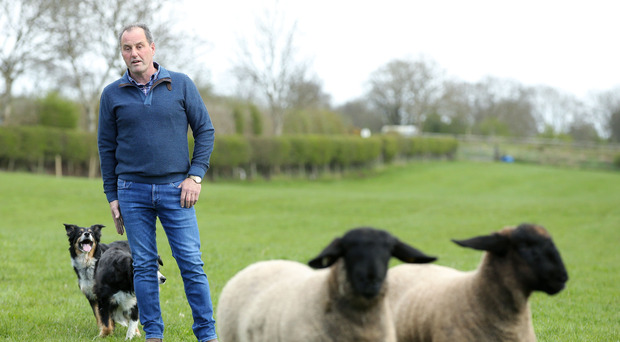 At the same time, Packie worked as a lorry driver, but 15 years ago he decided to make the biggest financial investment of his life and purchase a farm. "I wanted to farm all the time," he explained. He now has more than 100 acres across the three farms and while he is doing a job he loves, it is not without its own headaches. "There's so much red tape," he said. "There are rules and regulations for everything, you might own the land, but you have no say any more on how it is used, that's basically how it is. "I'm not sure how the red tape now really compares to farming when I was younger, because I just got on with it then and didn't really know any better. "I voted for leave with Brexit because I thought it would be a good thing for farmers, but no-one seems to know now what's going to happen, whether it's going to make things easier or harder. "The weather can be a big problem as well when you're a farmer, you're very reliant on getting some dry weather to get work done." One of the things which has helped Packie to ensure that his farms remain sustainable through difficult and challenging times has been his interest in showing. He has an endless list of accolades under his belt and this in turn has helped him to raise the profile and price of his cattle and sheep. He is so passionate about showing that he even spends a great deal of his spare time on judging. "I'm actually going to Spain to judge the week before Balmoral," he said. "It's something I have always enjoyed doing, although it didn't come from my dad, as he wouldn't have been interested. "I think I would miss it if I didn't do it." In addition to the countless hours that he spends in preparing for shows, Packie also spends a great deal of time at markets, building up a rapport with potential customers. He said this is crucial to the success of his business. "It's so important to talk to people, to make sure you are selling the best stock possible and they will always come back to you," he said. So, what is the one piece of advice he would give to a young person looking to start out in farming? Be prepared to work extremely hard, according to Packie. He said: "You have to get out and get the work done whenever you get the opportunity and if that means staying out until eight or 10 at night, then that's what it takes. "Your day doesn't finish until all the work that needs to be done gets done." However, he acknowledged that conditions are very different nowadays compared to when he was starting out. "I don't think you would be able to buy a farm and start from scratch," he said. "There is too much cost and red tape and unless you're inheriting land to farm it would be too dear. "If you give a young fella 100 acres of land, they would still need the money to buy the stock, the tractors, the machinery, 100 cattle can cost £100,000. "Even if he has 100 sheep he is only going to get £4,000 and that isn't a living." Despite his words of warning to the younger generations, Packie has no regrets about his choice of career. "There hasn't been one occasion where I have regretted getting into farming," he said. "Unless I am working, I'm not happy. "I've no family, just my wife Rhonda, but I've no children and no-one coming behind me so I'll be looking to sell the farms and the idea is that we will go and live somewhere sunny. "I'm starting to get to the age where I need to think about the future, I don't want to be doing it forever, but I'm not sure I will be able to walk away." By Linda Stewart Students from a Belfast grammar school travelled to the Balmoral Show yesterday to collect an unusual competition prize - five Aberdeen Angus-cross calves.